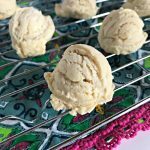 Do you guys ever just need a quick and easy go to dessert recipe that will make everyone think you slaved away in the kitchen for hours? 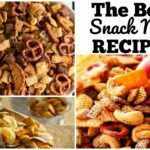 I love it when I can take boxed mixes, but transform them into my own dessert creations and this is one of those recipes! 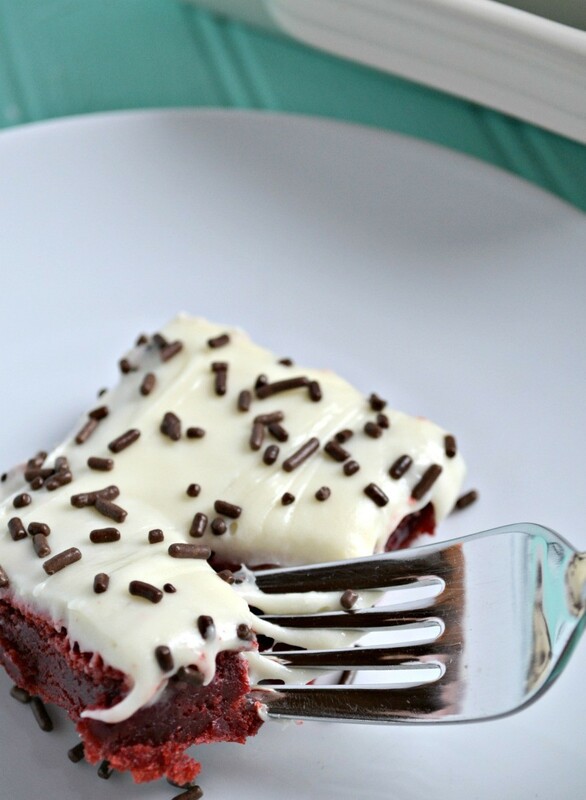 These Red Velvet Cake Mix Cookie Bars are soft and chewy, deliciously buttery, and full of flavor and you’re going to be SHOCKED at how easy and fast they are to make!! 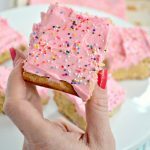 You may remember my other Funfetti Cake Mix Cookie Bars from last year, if you want to see another version of this same recipe….that’s the great thing about it, you can use ANY cake mix to get different results and flavors! 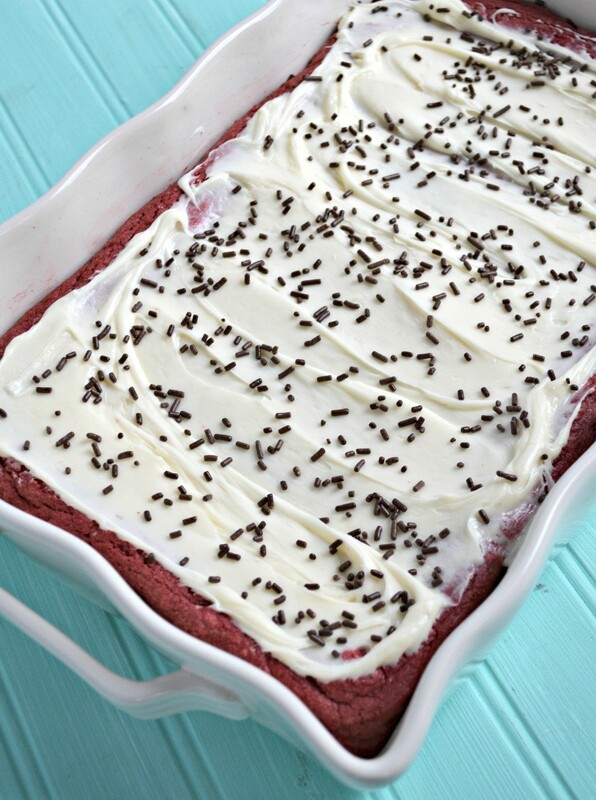 Cake mix cookie bar recipes are so simple, you just need a bag of store bought sugar cookie mix, a bag of your favorite cake mix (in this case Red Velvet Cake Mix), 3 eggs, butter, and vanilla! 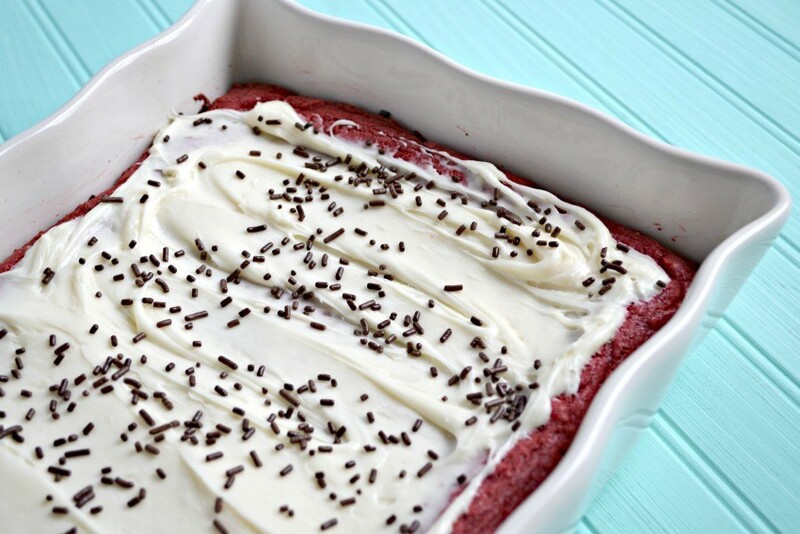 You mix all the ingredients together, pour into a greased baking sheet, and bake! 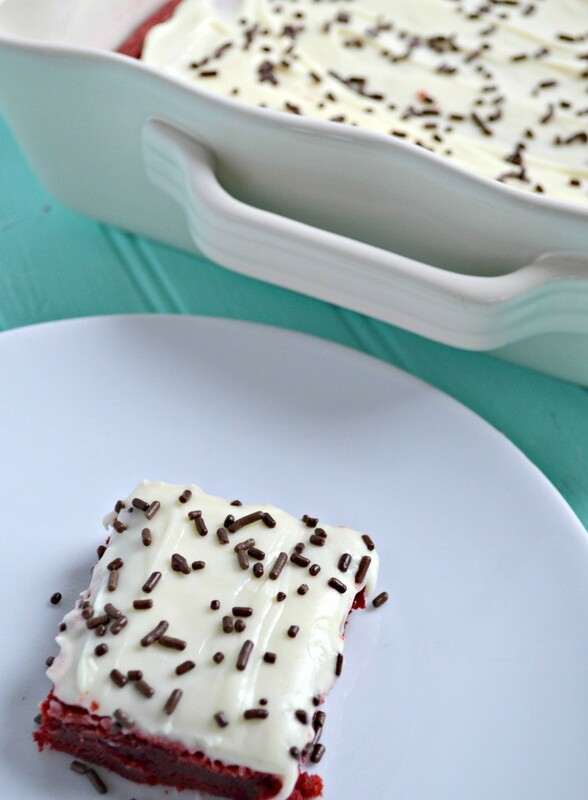 Once they come out, I whipped up a simple cream cheese icing, topped with sprinkles, and served! They have a very brownie like consistency when they are warm, but when they’ve cooled off they are more like a cookie bar. 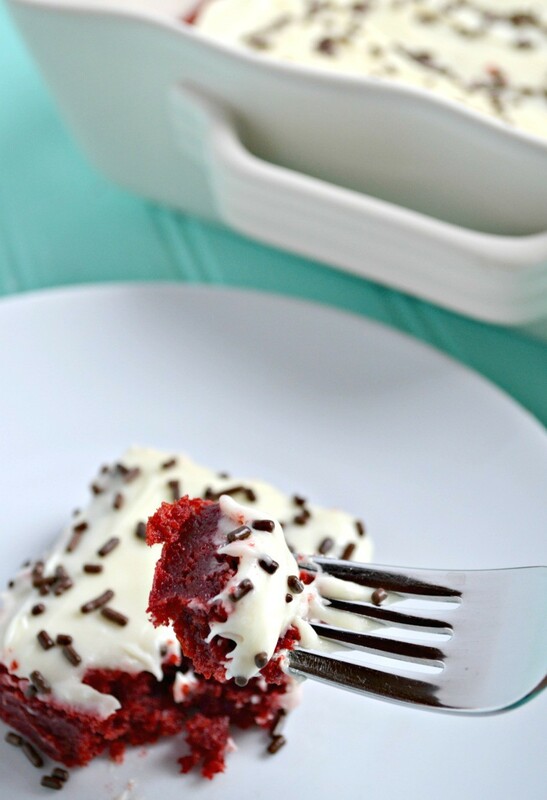 I think the red velvet is so pretty too…perfect for a Valentine’s Day dessert, Christmas desserts, or any time of the year that you just want to enjoy a delicious dessert. 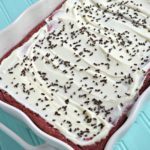 You can get the full Red Velvet Cake Mix Cookie Bar recipe below…let me know if you make them or if you try different varieties! 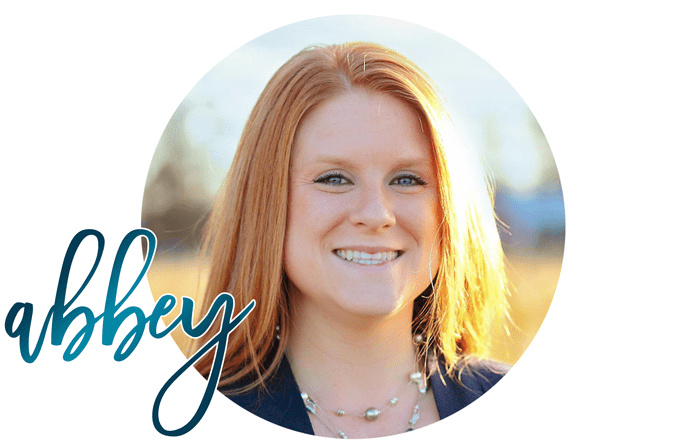 I love to see your creations in action! Preheat oven to 350°F and grease bottom of 13×9-inch pan with cooking spray. In large bowl, beat sugar cookie mix, cake mix, melted butter, eggs and 1 teaspoon vanilla with electric mixer on low speed 30 seconds. Spread mixture evenly across the bottom of pan. Bake 32 to 34 minutes. Cool completely. In large bowl, beat frosting ingredients together. Spread over cooled bars. 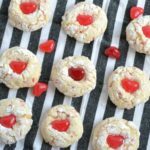 Cut into small pieces and serve!